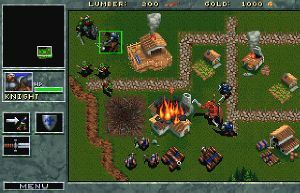 Blizzard co-founder Frank Pearce says his company is more interested in making new stuff than in remastering Warcraft 1 and 2, the hit RTS titles that paved the way for World of Warcraft. Feeling nostalgic? See how the classics hold up today with our list of the best old PC games that are still worth playing. During a Q&A session at BlizzCon 2016, which wrapped up this weekend, Pearce responded to a fan’s question about a Warcraft 1 or 2 remaster by saying the company would “much rather” make new content for WoW or Overwatch than “go back and dig up old fossils”. Fellow co-founder and president, Mike Morhaime, then interjected to add “at this time”, providing a faint glimmer of hope that Blizzard might look at a remaster in the future. Pearce confirmed that Blizzard still has “all of the original source code and assets to everything we’ve done in the past”, but said “it’s really hard to access that stuff, unlock it, and figure out how it all works. Because we’re old, we’ve forgotten. 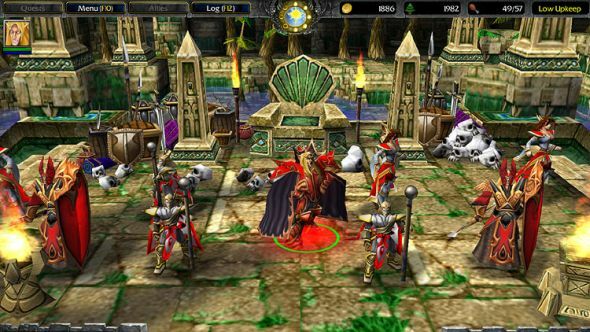 As a reminder, here’s a screenshot of the original Warcraft, courtesy of Wikipedia. Blizzard games seem to provoke nostalgia, with a number of World of Warcraft players eager to play the game’s original version. There as here, Blizzard have left them disappointed, but they have shown this weekend that they’re not entirely unsympathetic to fans pining for the past, with news that the original Diablo will be remade within Diablo III.